While I’m against sin as much as the next Christian, I don’t think God being against sin is an accurate depiction of the gospel. But, all too often, the gospel we proclaim is one of condemnation and judgment, not love and grace. The gospel is the story of God’s love and grace, not God’s condemnation and judgment. We experience God’s love and grace so we won’t have to experience God’s condemnation and judgment. And, if you don’t believe me, just read the next verse: “For God did not send the Son into the world to judge the world, but that the world might be saved through Him” (John 3:17). So, the gospel is not that you’re a sinner and God wants to straighten you out. You are and He does! Certainly, people need to repent of their sin when they receive God’s salvation. Inevitably, when you get close to God, you will repent! Because, when the Holy Spirit draws you near to God, God’s supreme holiness will reveal your profound sinfulness. Still, the gospel is that God loves people. God ardently, completely, unequivocally, absolutely loves people! God redeems us not because we are sinners but because He loves us and wants us to have fellowship with Him! 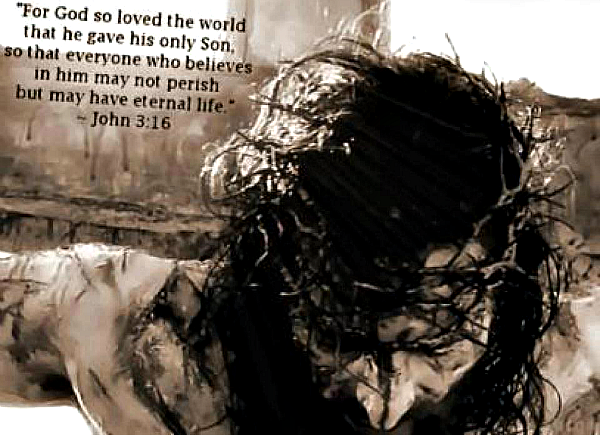 It’s not because we’re sinners, but because He loves us so much! This entry was posted in God's love, gospel, grace, love and tagged Bible, God's love, gospel, love. Bookmark the permalink.